Product information "Compressor SIL-AIR 20A"
Oil-powered compressor SIL-AIR 20A, 230V, 135 W. 17 litre/min of oilfree compressed air at 6 bar. Incl. 1.5 litre container and pressure gauge. On/off switch with additional automatic switch for maintaining air pressure at 6 bar (max. ), water separator. Air capacity 0 to 6 bar infinitely variable. Dimensions 17.5 x 41 x 28 cm. Weight: 17 kg approx. 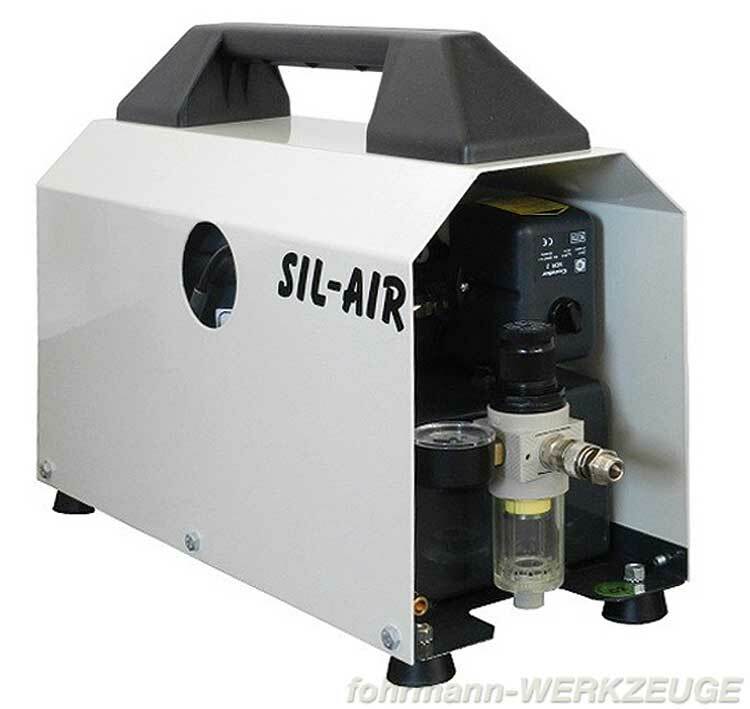 Related links to "Compressor SIL-AIR 20A"
Customer evaluation for "Compressor SIL-AIR 20A"